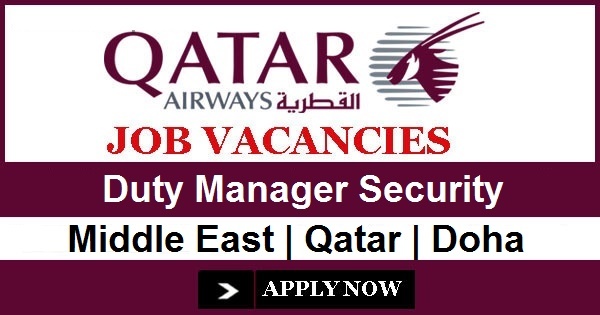 The position will manage the Airport Authorities security operations, ensuring compliance with local and International regulations and all instructions and procedures issued by Head of Security HIA and QCAA. Protect the interest of the airport staff, passenger’s, equipment and assets avoiding unlawful acts of interference, theft, damages, fines etc. The 24 hour position will co-ordinate responses and provide support and communication to all areas within the airport. Taking the lead and liaising with all stakeholders’ colleagues and departments and in particular, work with other departments and airlines assessing the security implications prior to advising and reporting to senior management. The Duty Manager Security will also advise airlines and tenants on security legislation and ensure compliance of the Airport Security Program. Minimum Bachelor’s degree level or equivalent. 5 years minimum aviation security experience. Previous experience in Police, Military Police or general military operations is an advantage. Good working knowledge of general security operations requirements. Sound working knowledge of MS office applications.